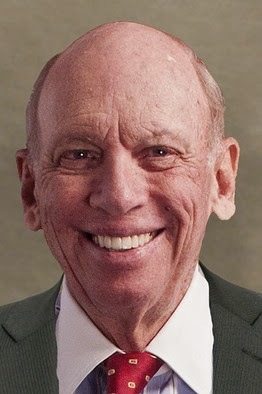 This is the 30th year that Byron Wien has given his views on a number of economic, financial market and political surprises for the coming year. Wien, a senior advisor to Blackstone (ticker: BX ), defines a surprise as an event which the average investor would only assign a one out of three chance of taking place but which Byron believes has a better than 50% chance of happening. 1. The Federal Reserve finally raises short-term interest rates, well before the middle of the year, encouraged by the improving employment data and strong Gross Domestic Product growth. The timing proves faulty, however, as the momentum of the economy has begun to flag and a short-term slowdown has started. The end of monetary accommodation and rising rates precipitate a correction in equities. Long-term Treasury rates stay where they started and the yield curve flattens. 2. Our luck runs out on cyber terrorism. Hackers invade the personal and corporate accounts of a major money center bank and the Federal Reserve orders the institution to suspend transactions for five business days while the accuracy of its balances is verified. Various government departments and agencies are mobilized to deal with the problem caused by the hackers having proved to be more skillful than our corporate cyber security efforts. 3. The year-end 2014 rally in United States equities continues as the market rises for a strong performance in 2015. A growing economy, fueled by housing and capital spending and favorable earnings, enables the Standard & Poor’s 500 to increase 15% during the year, outperforming equities in most major industrialized countries throughout the world. 4. Mario Draghi finally begins to expand the balance sheet of the European Central Bank aggressively by buying sovereign debt, mortgages and corporate bonds. In spite of this expansion, Europe falls back into a serious recession. Germany is particularly weak as reduced demand from various trading partners has a major impact on its exports. The European policy makers fail to embrace the one option, fiscal spending, that could turn the economy around, and European stocks decline. Politically, Europe moves dangerously toward the right. 5. Shock and awe no longer works in Japan. The recession which began in the third quarter of 2014 continues throughout 2015 in spite of further fiscal and monetary stimulus and the suspension of the second planned sales tax increase. The Nikkei 225 is flat for the year in yen and down in dollars. 6. China reports that it is no longer growing at 7% and that more fiscal and monetary stimulus is needed to grow at even 5% and to prevent a hard landing. It also acknowledges that it must rebalance the economy toward the consumer and away from credit-based investing in state-owned enterprises and infrastructure. What money is spent on infrastructure is focused on air, water and ground pollution, not roads and housing. A lower rate of job creation leads to protests but they are contained without excessive violence. 7. The drop in the price of oil finally has an impact on Iran. The country was dependent on its sale of crude to offset the impact of sanctions. The economic weakness resulting from the unexpected decline in oil finally forces a conciliatory attitude on the part of its nuclear negotiators. Pressure to cease nuclear weapons development comes from the Iranian people as well, as they seek more economic opportunity. An agreement to roll back its weapons program is greeted positively throughout the region and world equity markets rally briefly on the news. 8. Brent slips into the $40s. The low price of crude oil, which continues throughout the first part of the year, has a major impact on Russia. A peace settlement with Ukraine is signed, giving Eastern Ukraine substantial autonomy but guaranteeing the sovereignty of the rest of the country. President Putin seems to be trying to win back the respect of the international community as the country reels from its economic problems, but the Russian citizenry finally turns on him. His approval rating plummets and he resigns by year-end. During the second half of the year, West Texas Intermediate and Brent crude are both above $70, as emerging market demand continues to increase. 9. The year-end 2014 meltdown in the high yield market, as a result of the collapse in the price of oil, creates a huge buying opportunity. The spread between high yield and Treasurys is cut in half, and high yield becomes the best performer of the various asset classes as the U.S. economy continues to grow with no recession in sight. 10. The Republicans decide to position the party as the one that can get something done in Washington. They argue that President Obama was ineffective in his first six years, but when they got control of both the Senate and the House, legislation was passed. The Keystone pipeline finally is approved, as well as minor tax code revisions and even some changes in immigration policy. The Republicans are determined to strengthen their position with Hispanics in 2016. They want desperately to hold the nation’s highest office and they see Jeb Bush as a winner for them. Here are some “also ran” surprises. 11. Water becomes the central environmental issue of 2015, eclipsing carbon-caused air pollution. While a shortage of water has always been a potential problem in the Western United States, it becomes a source of considerable tension in India and China, where large parts of the population do not have safe drinking water on a consistent basis. 12. Internet commerce runs into trouble. Established hotels push legislators to make Airbnb pay the same taxes and fees that they are required to charge customers. Uber is asked by local authorities to prove that its drivers have commercial insurance to protect passengers. The stocks affected decline sharply. 13. Brazil provides an emerging market favorable surprise. President Dilma Rousseff abandons some of her long-held socialist ideas and moves to the center. She introduces a number of business-friendly policies and the economy improves. It is helped more than it is hurt by the drop in the oil price. Brazil becomes a favorite of emerging market investors once again. 14. I liked this one, but I didn’t have more than 50% conviction about it. Hillary Clinton decides not to run for President. She fears that Jeb Bush would siphon off some of the votes of Hispanics, who substantially voted for Obama. Many liberals are disenchanted with Clinton and may not vote for her. She wants to be the first woman President but she doesn’t want to lose.